Upright sedum with gray-green leaves, edged in pink. 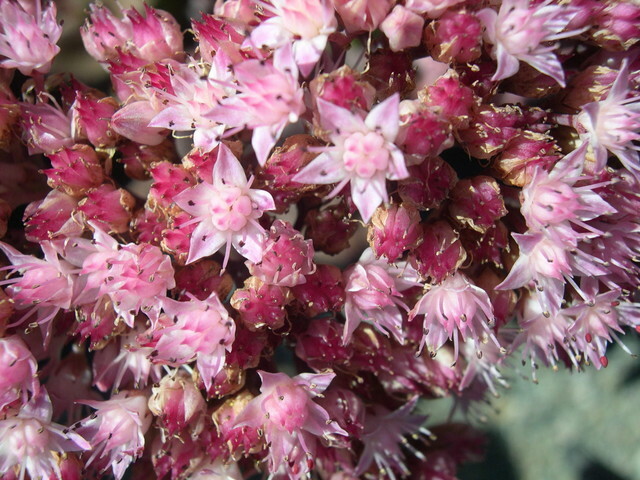 Flowers are soft pink on large flower heads. Blooms June-Sept. Grows 24 inches tall and 18 inches wide. Deciduous.